My advice to anyone thinking about doing something like this is – do it! If I can do it, you definitely can! I had a brilliant time during my elective and feel so much more confident in myself and in practice since my trip. It’s okay to be apprehensive but it’s so worth it. After doing a little travelling on my own I was determined to do a placement somewhere completely different to the UK, no matter how scared I was (and I was!) So when my university gave a talk and suggested Work the World I contacted them to find out what my options were. They were very informative and after I decided which country to go to, they helped with all of the travel arrangements and even gave me a suggested packing list which was very helpful for over-packers such as myself! I was so excited before I left home but I don’t think I’ve ever done anything that scared me more! As it happens I had nothing to worry about. I was met from the airport by Ezekiel (a member of the Work the World staff). He was very reassuring at a time when I had no idea what was going on. I met three other students (who I later spent most of my trip with) at the hotel we stayed in for the first night and bonded over breakfast. When we arrived at the Work the World house we met the others, who all seemed so confident - I couldn’t imagine learning how to adapt in the environment like they had, but I did. We also met all the staff who were brilliant. I can’t recommend a team more highly. During local and hospital orientation they answered questions for me that I hadn’t even thought of. The first couple days’ culture shock took over a little but just as Ezekiel predicted, after a couple more I was doing fine. Ophelia made meals for us, cooking local cuisine (but less spicy for us Westerners!) and made her famous pancakes for breakfasts. Once a week the staff put on a barbeque for the students; it was a brilliant way to relax after placement and Alhassan, the Housekeeper, would keep us entertained with his legendary dancing skills (well worth the trip just for that!). 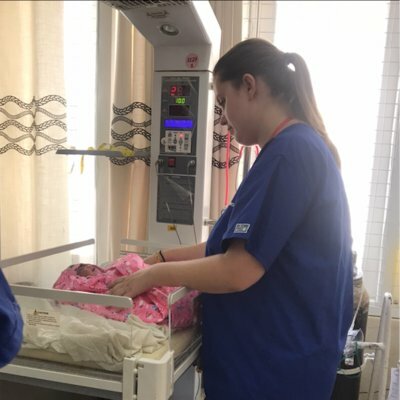 I spent time on a female general medicine ward, a female surgical ward and A&E. Some people preferred spending all their time on one ward but I really enjoyed the variety; the way nurses practice is so very different to what we do here. I had a lot of hands on experience with medication rounds, dressing change, NG tubes and catheterisation. During my time in A&E I also took part in the triage process. I surprised even myself with how much you can communicate without relying on language. We were given weekly language lessons at the house but it improved my communication skills when I was left on my own to communicate with my patients with the little Fante I had. I had a lot of hands on experience with medication rounds, dressing change, NG tubes and catheterisation. The other students over there at the same time become a brilliant support system for you; some days are hard on placement just like they are in your own country but you will feel a sense of accomplishment for understanding a new country and health system. My last week I spent in Fasin Village clinic, which had no electricity or running water. The role of the nurse there was to triage, diagnose and provide treatment including drugs as there were no doctors present. I really enjoyed my time here; I stayed with a host family who really looked after me. When not in the clinic I was shown around a local farm and taken to the school. This was one of my favourite parts; the children were so excited to have a visitor and had prepared a song to sing to me. I found the Village Healthcare Experience challenging being so far from anything I knew and with no electricity or light however, I have a better understanding of how people live because of it. During time out of placement we spent time at the beach and shopping for fabric to have clothes made. 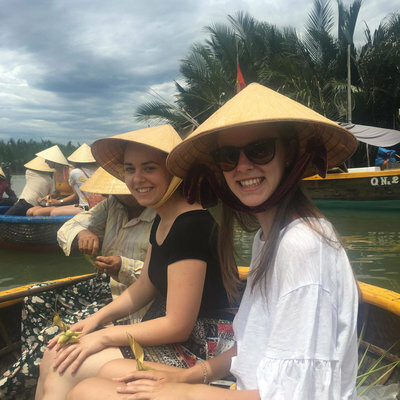 On the weekends we took trips away to the rainforest, saw monkeys and alligators, and generally relaxed after a week on placement! We also visited an orphanage which has inspired me to run a half marathon in March to raise money for them. 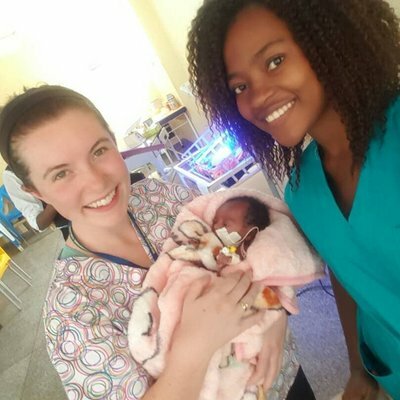 Whilst Ghana may be slightly different from the UK in areas such as infection control and Tissue Viability, they still provide mostly the same services with a much smaller budget and less resources. It has given me confidence as a health practitioner to know I could practice without all the technology we are lucky enough to have in the UK.